With plenty of moving services, Meathead Movers is fully prepared to make Guadalupe your new home. Our clean-cut student athlete movers are dedicated to fulfilling all your moving needs efficiently. Welcome to Meathead Movers of Guadalupe! If you are moving to or from anywhere in Guadalupe, we are the moving company for you! Our professionally trained student-athlete movers and our move concierge are here to help you with every stage of your move in Guadalupe. Known as the Gateway to the Dunes, Guadalupe, is a small town, located near the Californian Coast. Spend time exploring Rancho Guadalupe Dunes Preserve, Guadalupe-Nipomo Dunes, or the Oceano Dunes for activities that range from bird watching to bonfires and riding ATV’s. Regardless, you are sure to enjoy a day at the Dunes. 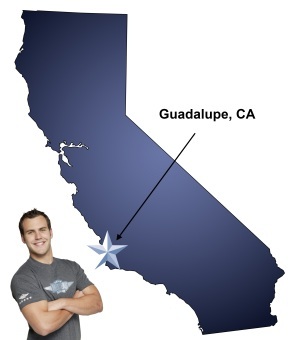 If you are considering moving to Guadalupe, you should first check out Meathead Movers. Our moving company specializes in local, long-distance, and commercial moves to, from, and within Emeryville. We also provide reliable packing, storage, on-site relocations, and our distinctive moving concierge service, which connects you with local service providers. In fact, you can see what your neighbors in Emeryville have to say about us. With our 100% satisfaction guarantee, the only thing you have to lose is the stress that comes from moving! So contact us today for a free no-obligation moving quote and to learn how we can help you on your next move! Moving to Guadalupe? Here are some helpful resources. They so very helpful. Waist no time and getting to work. In fact they so fast. They were very conscientious. I didn’t expect them to do such a great job in protecting my items . Without any hesitation I would highly recommend to meathead movers . I was very very happy with the service from Meathead movers, Bryce, Austin, and C from San Luis Obispo office and James L. from Camarillo. They were polite, punctual and very professional.